Exclusive provider of massage for the last 10 years. 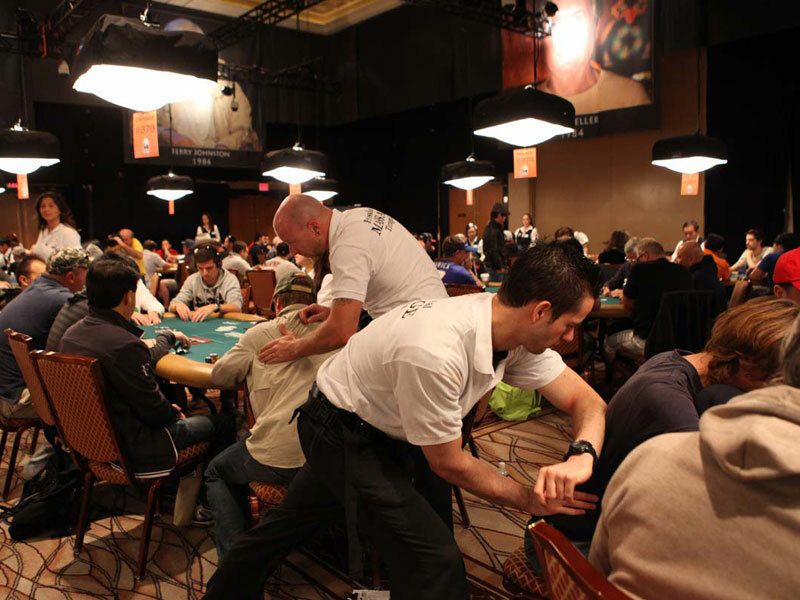 24 hour a day services to poker players and spectators. Highly trained therapists recruited from around the world. 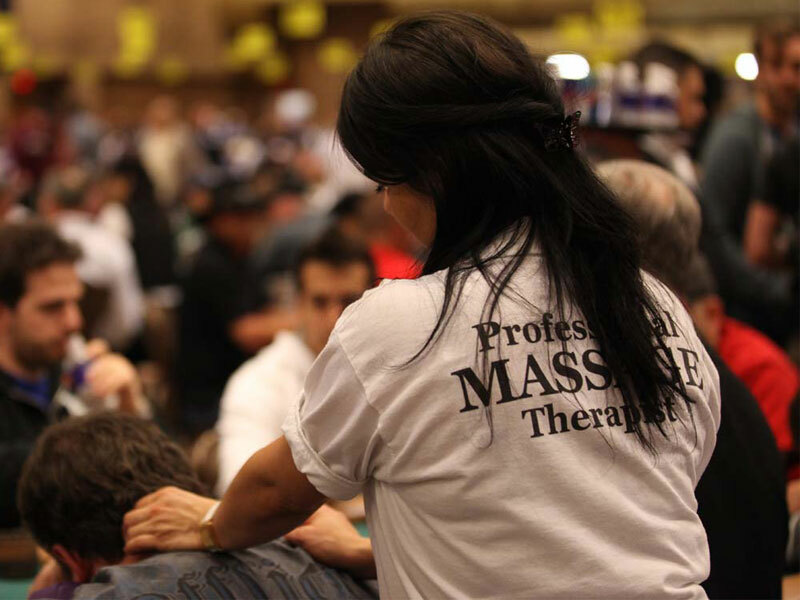 Massage at the convenience of your gaming table or slot machine. Helps you feel relaxed yet invigorated while gaming. Massage focuses on tired and sore muscles as well as improving circulation. Massage can be tailored to your needs focusing on the scalp, neck, back and hands. Massage to provide stress relief, increased circulation, relaxation. In the comfort of a massage chair that can be adjusted to your needs. Luxurious locations on the strip or at the convenience of your workplace, convention or event. Include massage to neck, shoulders, back, arms, hands, legs and feet. We also provide reflexology massage to specific points on the hands and feet. Receive some pampering while soaking up the Las Vegas sun. Table and chair massages available poolside or in the comfort of your cabana. Rolando Coro and his professional staff at Professional Massage Inc. are the best and highest quality massage team I have encountered. I have work 100's of poker tournament all over the world and have not found a better team. They truly are the cream of the crop!! Looking for a Special Event?